Members of the Zones executive team were selected for their experience, strategic thinking and planning skills, and their ability to effectively produce results in the IT solutions marketplace. 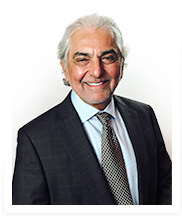 Firoz Lalji is chairman, CEO, and co-founder of Zones, LLC. Prior to his tenure at Zones, Lalji was the founder, president, and CEO of Kits Cameras, Inc., which he built into a chain of 225 stores across the U.S. and Canada. Lalji obtained his Bachelor of Science degree (Economics) from the London School of Economics and attended Harvard Business School. He serves on multiple advisory boards, including the board of directors of US Bank of Washington, the Foster School of Business at the University of Washington, the London School of Economics, and the Pacific Northwest Ballet. Lalji is also founder and chairman of the Program for African Leadership (PFAL) Foundation as well as the Program for African Leadership at the London School of Economics. 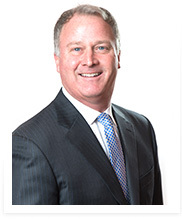 Daniel T. Pickett III is president and chief revenue officer of Zones, LLC. Dan joined Zones in November 2016 when Zones acquired nfrastructure Technologies LLC, where he served as chief executive officer and chairman of the board. Prior to joining nfrastructure, Dan was senior vice president and general manager of Enterprise Banking Solutions at ALLTEL, which he joined following the acquisition of ACE Software Sciences, a software company he founded in 1995. 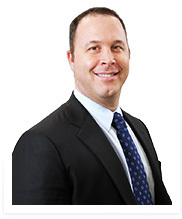 Dan began his career in 1990 with KeyCorp in Albany, NY. At KeyCorp, Dan held a series of positions in technology and operations. He played a key role on KeyCorp's M&A team, responsible for integrating the retail delivery platforms and networks of more than a dozen acquisitions over a five-year period and rising to vice president. While at KeyCorp, Dan was also responsible for the company's Advanced Technologies Division. Dan holds a degree in industrial and management engineering from Rensselaer Polytechnic Institute. 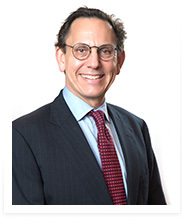 He is also a trustee of Rensselaer Polytechnic Institute and serves on the boards of the Pickett Family Foundation, Vanguard Behavioral Solutions, Albany Medical Center, and Albany Medical College. Dan is also president of Hudson River Capital Holdings, a private investment company. Derrek Hallock was named chief operating officer at Zones in 2017, after serving as senior vice president of Partner and Product Management (PPM) since 2013. As COO, Hallock leads the company's PPM, Marketing, Operations, and Purchasing divisions, as well as its Cloud, Service Delivery, and Logistics and Integration units. In this role, he is responsible for driving innovation and collaboration across the company's partner ecosystem, increasing operational and supply chain efficiency, optimizing costs, elevating the Zones brand, and strengthening global service delivery for Zones clients, with an overarching mission of enabling industry-leading customer experiences and client satisfaction. Hallock leverages broad industry experience gained at SED International, Tech Data, and CompuCom Systems, where he led a progression of sales management, strategic marketing, and global supply chain organizations. He graduated from Michigan State University with a degree in Supply Chain Management and went on to earn his Executive Master of Business Administration from the University of Washington Foster School of Business. Anwar Jiwani was named Senior Vice President and Chief Information Officer in 2000. As CIO, Jiwani oversees the company's global IT strategy and systems supporting all ecommerce, finance, sales, operations, and cost reduction initiatives through automation. He also leads the company's digital transformation to benefit customers, team members, and partners, and manages its offshore office in India, comprised of IT, global operations, and sales team members. 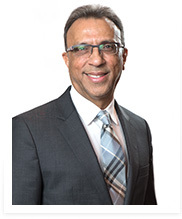 Prior to joining Zones as Vice President of Information Technology in 1999, he held a series of senior information technology management positions at Royal Bank of Canada, ultimately leading the bank's Call Center Technologies organization. Jiwani attended Simon Fraser University in British Columbia. Ronald McFadden has been part of the Zones senior team since 1998, leading Corporate Finance, Human Resources and Business and Legal affairs. McFadden earned an Executive Master of Business Administration from the University of Washington Foster School of Business and an undergraduate accounting degree from the University of Southern California. He is also a Certified Public Accountant (inactive) and a member of the American Institute of Certified Public Accountants (AICPA). Dominic Camden was named senior vice president and chief sales officer at Zones in 2017. 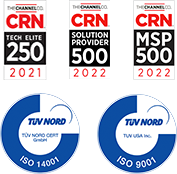 Overseeing all sales channels including corporate sales, healthcare, and public sector, Camden plays a strategic role focused on building and shaping the Zones sales organization to meet in the increasing need for IT solutions. 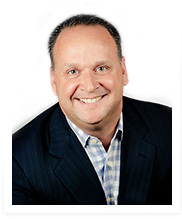 His background is deeply rooted in the development of highly productive sales organizations. Most recently, Camden served as the senior vice president of Enterprise Sales at Zones. In this role, he spearheaded investments in infrastructure and people, securing multiple Fortune 500 customers. Prior to joining Zones, Camden was senior vice president of Sales at CPCS, an IT solution provider acquired by Zones in 2003. Before CPCS, Camden was senior director of Sales at VisionTek, and held sales and management roles at GE Capital IT Solutions and IBM. Camden earned a Bachelor of Science degree in Business Administration with a Marketing Specialty from Marquette University. Sean Hobday was named senior vice president in January 2012 to lead the company's global expansion efforts in Europe, the Middle East, Africa, Latin America, Asia-Pacific, India and Canada. Since then, he has architected a global footprint to serve Zones global customers around the world. Hobday has held multiple leadership positions at Zones, including director of client development, vice president of enterprise sales and president of Zones Corporate Solutions. Hobday has specialized in developing global sales and operational units to serve global clients in the enterprise and mid-market space. 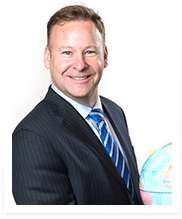 Prior to his time at Zones, Hobday served as managing director of Blue Ice Leisure in Sydney, Australia, an Austral-Asian division of First Team Sports. Rich Montbriand was named Senior Vice President of Digital Solutions in January 2019 to lead Zones' Advanced Technology Executive and Solution Architect organizations along with the Zones nfrastructure CTO thought leadership team. 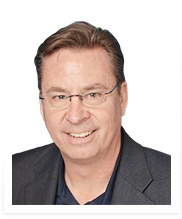 Prior to joining the company, Rich led business development and consulting services at Cognizant, Oracle, and IBM, providing strategic expertise and driving digital transformation at client organizations in the areas of Cloud, Application/Infrastructure Modernization, Digital Workplace, Automation, and managed services. He earned his BA from Marquette University and holds an MBA from Northwestern University.